There has been growing concern among stakeholders about individuals with autism spectrum disorder (ASD), their sexual and intimate relationship experience, and their ability to pursue and maintain interpersonal relationships in a healthy manner. ASD is characterized, in part, by communication and socialization deficits, which may lead to miscommunications, inappropriate communications, or inappropriate actions towards romantic interests. This study sought to describe the romantic experiences of a small sample of individuals with ASD and explore any inappropriate courtship behaviors while pursuing a romantic interest. Informed consent was obtained electronically from all individual participants included in the study. 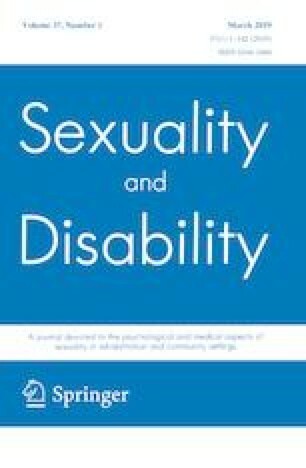 Do you think you have knowledge about sexually related behavior? Are you aware of the different kinds of intimate/romantic relationships (e.g., dating, marriage, etc.)? Do you desire to have an intimate/romantic relationship? Do you know how to initiate intimate or romantic relationships (e.g., ask for a date, resume or maintain a relationship)? Have you ever attempted to pursue a romantic interest? Are you currently in an intimate relationship? How many intimate or romantic relationships have you had? How long have you maintained an intimate or romantic relationship (on average)?